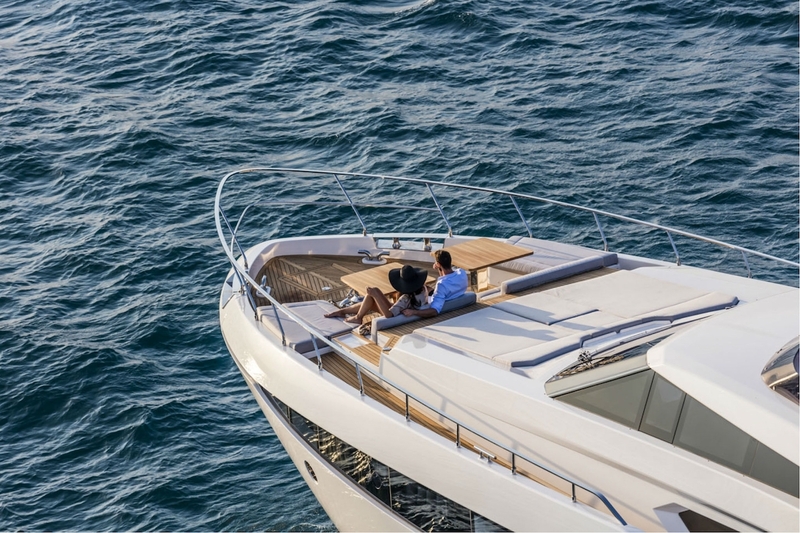 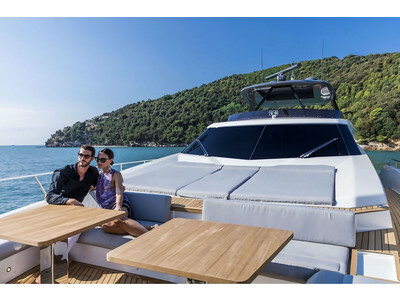 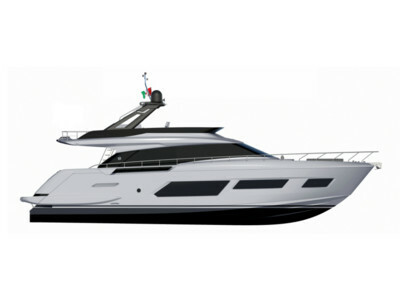 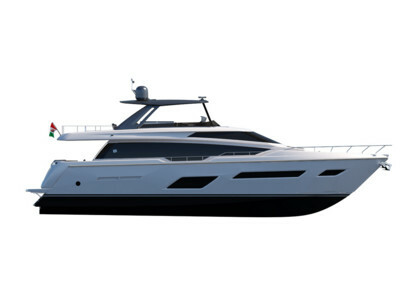 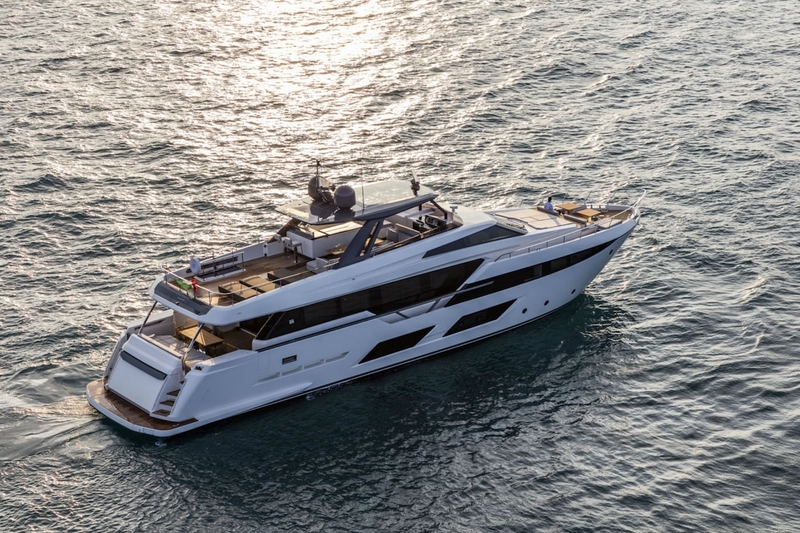 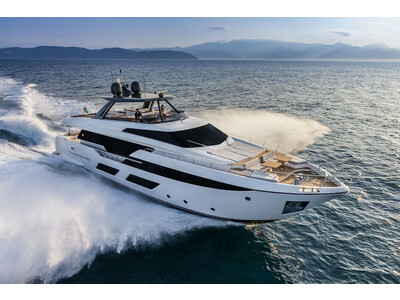 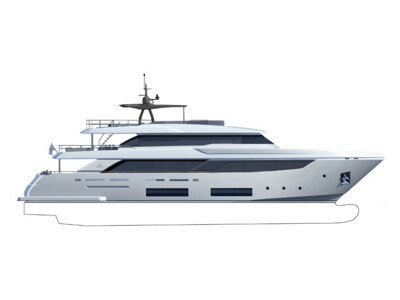 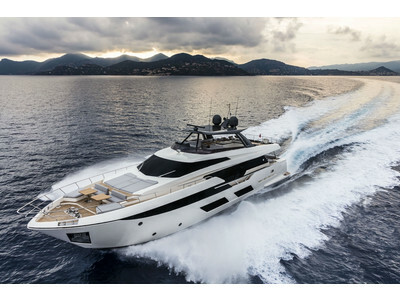 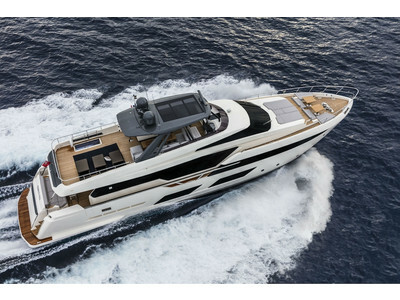 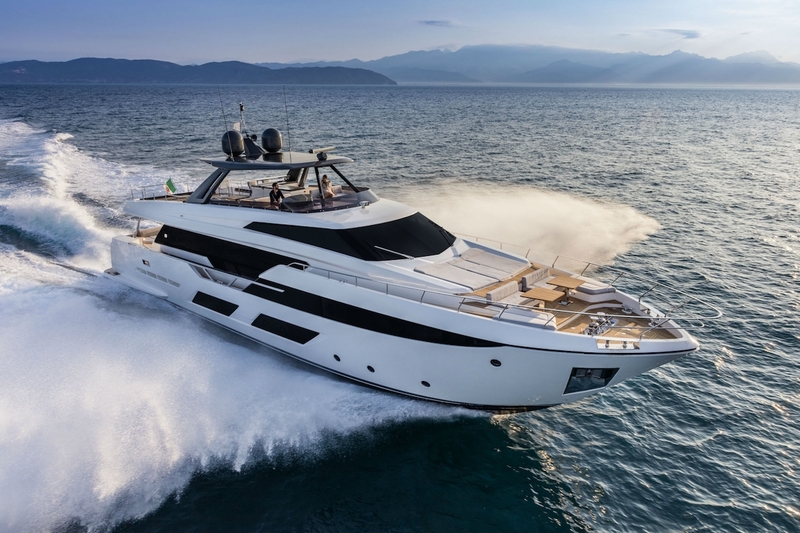 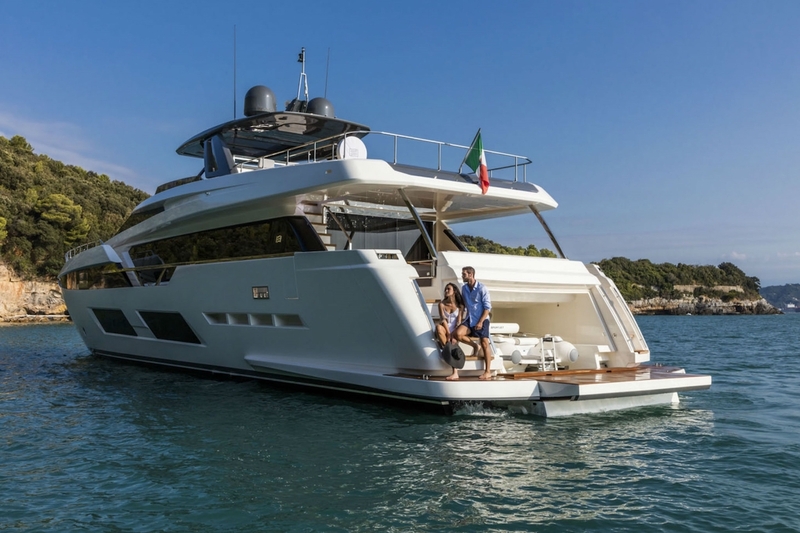 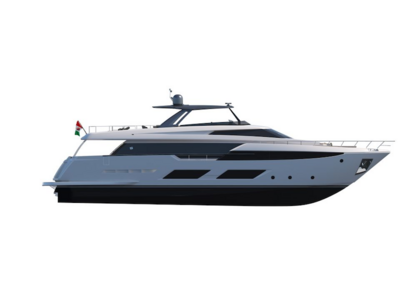 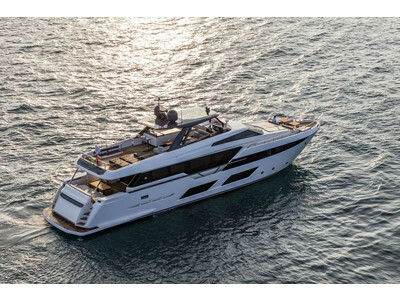 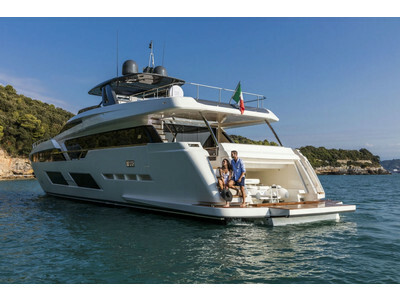 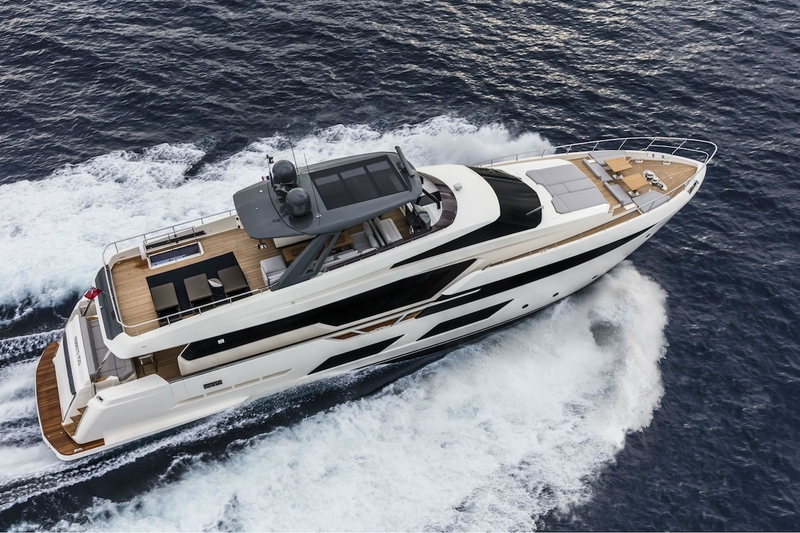 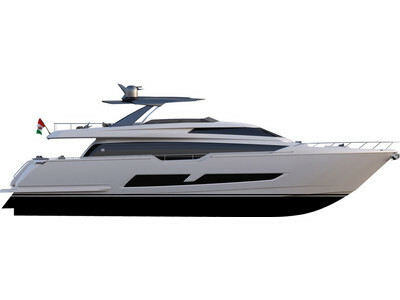 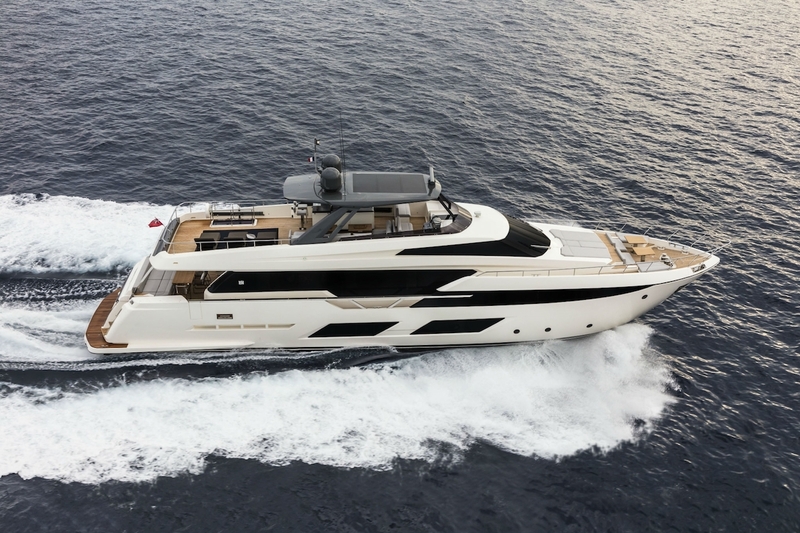 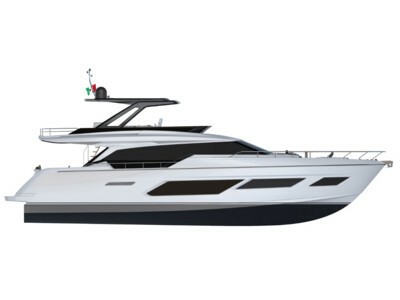 The splendid flybridge, designed by the Ferretti Group’s Product Strategy Committee and Engineering Department in conjunction with Zuccon International Project, stands out due to the ground-breaking introduction of the “wide body” concept. 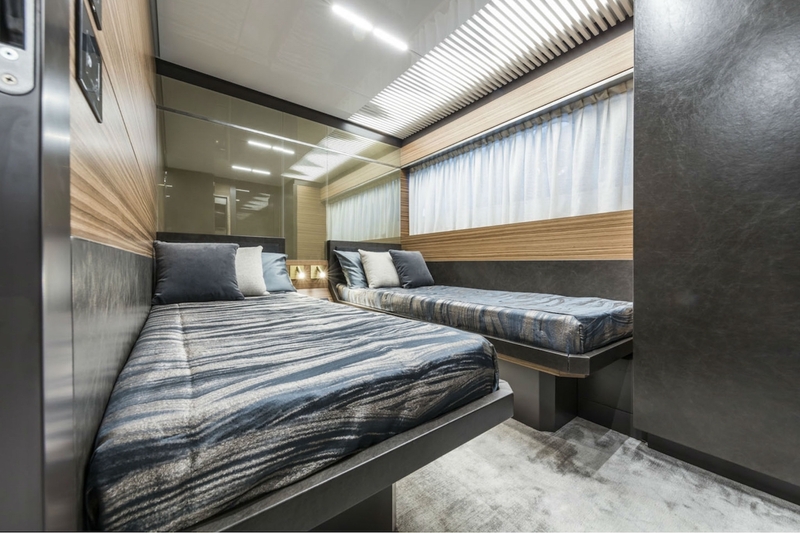 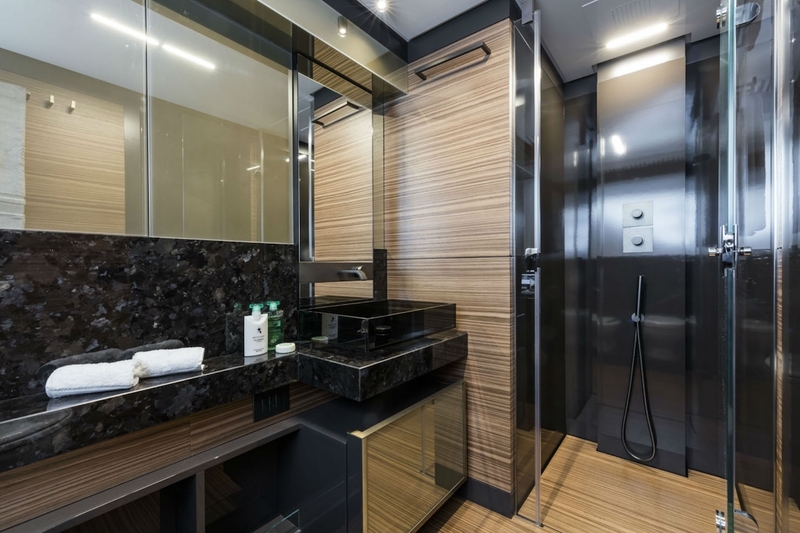 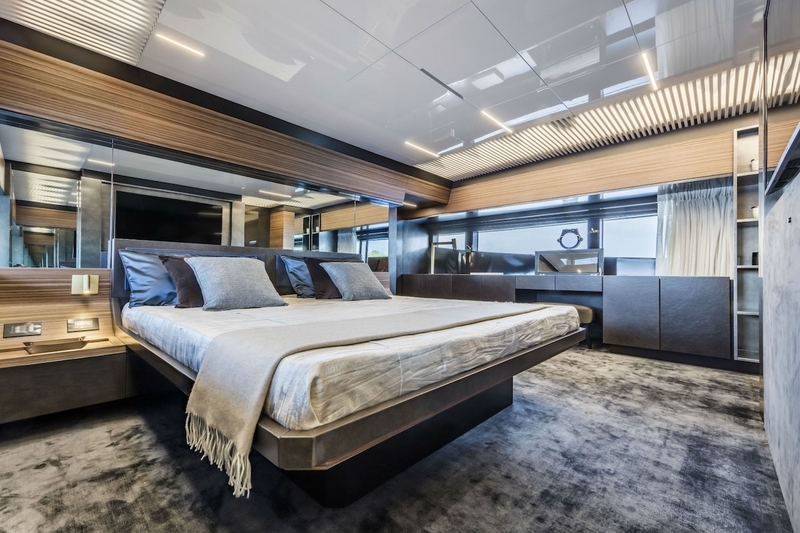 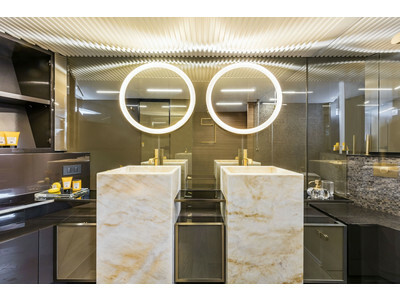 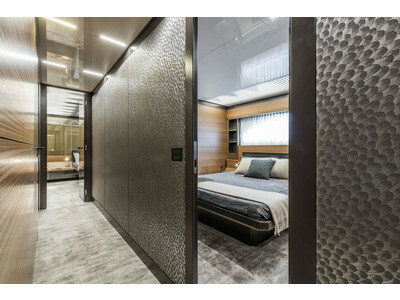 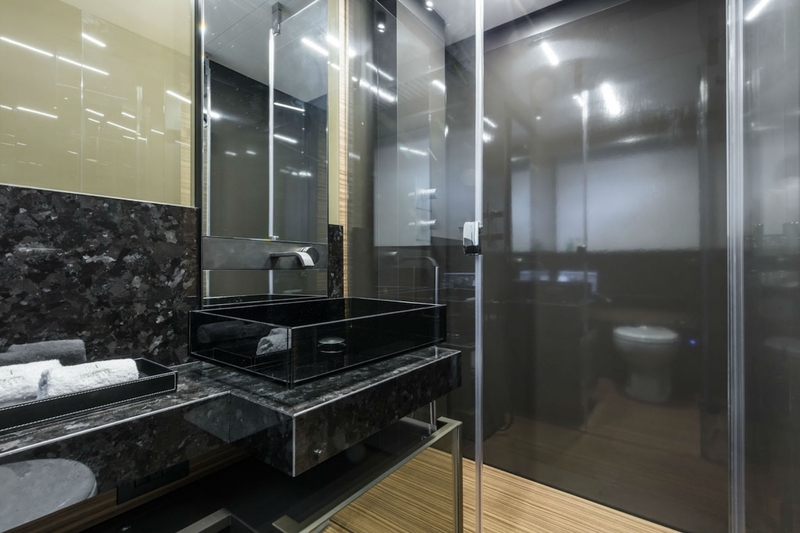 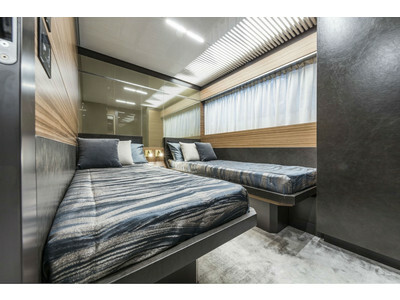 In addition to giving the yacht an imposing presence on the water, the raised forward section of the hull has also allowed a “wide-body” master suite to be included on the main deck. 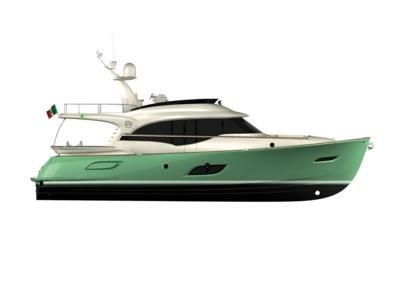 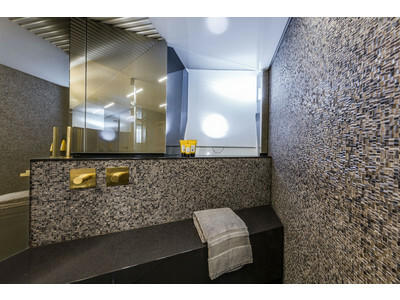 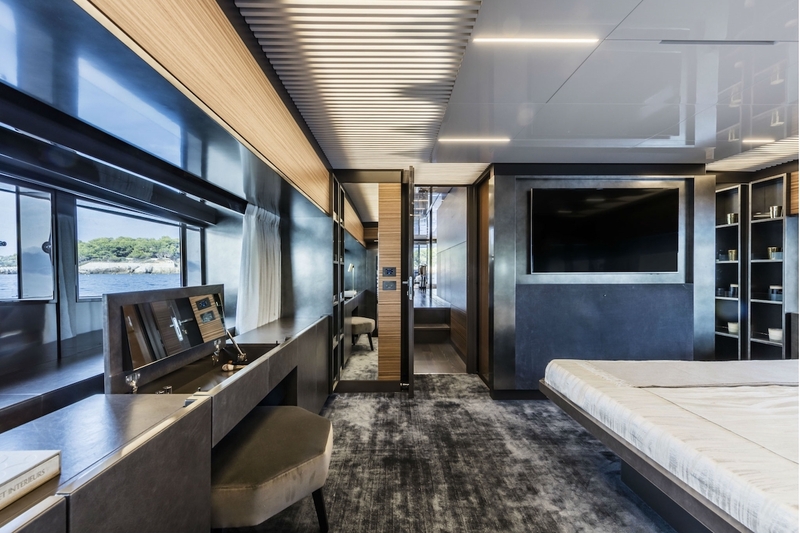 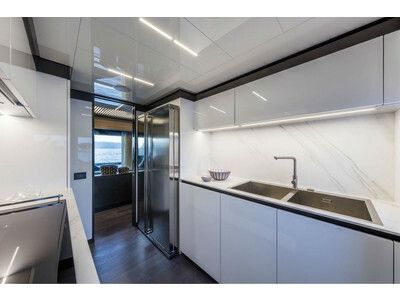 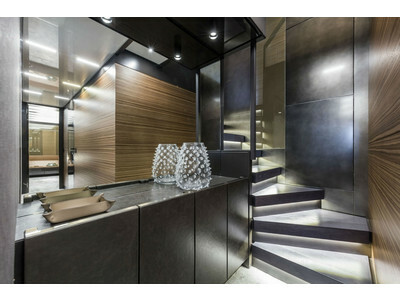 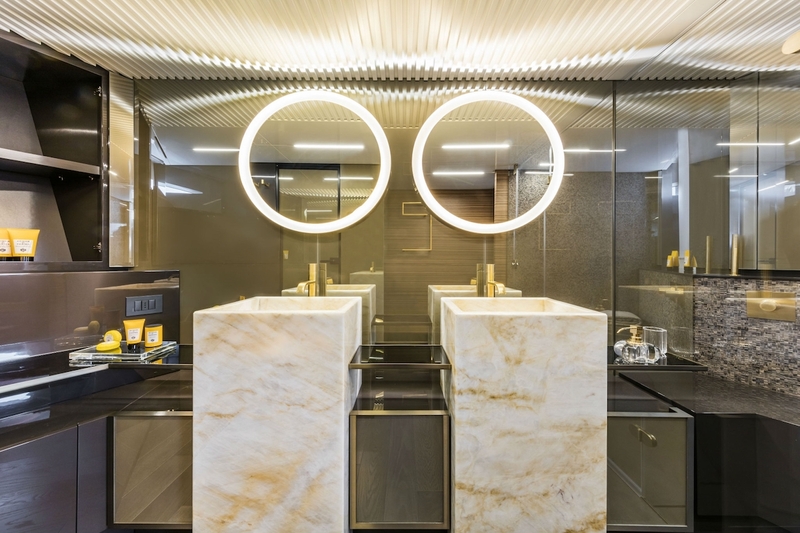 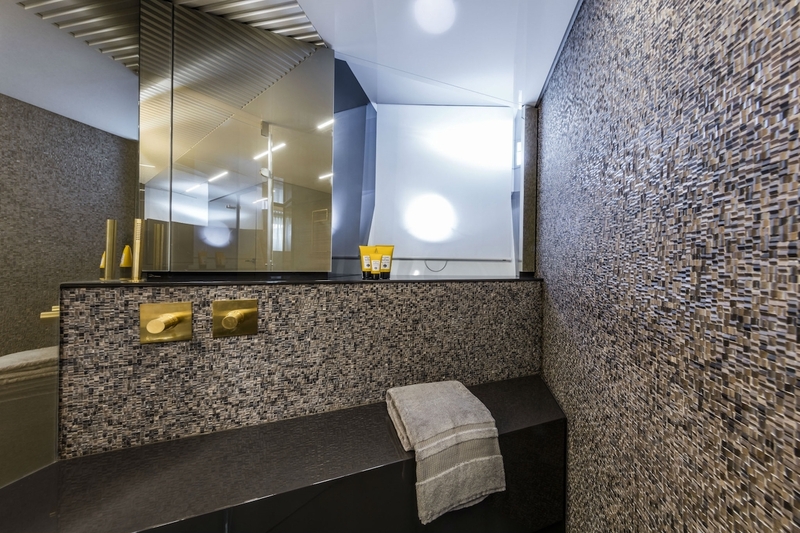 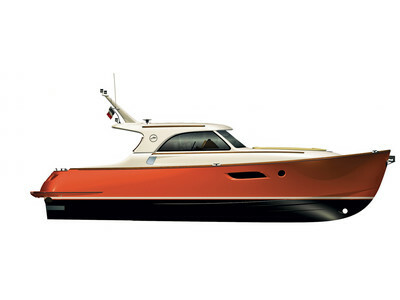 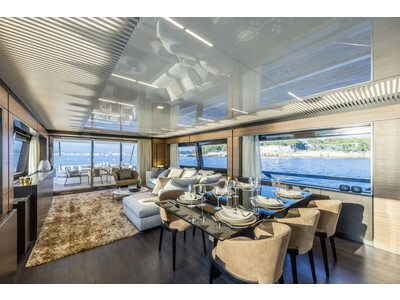 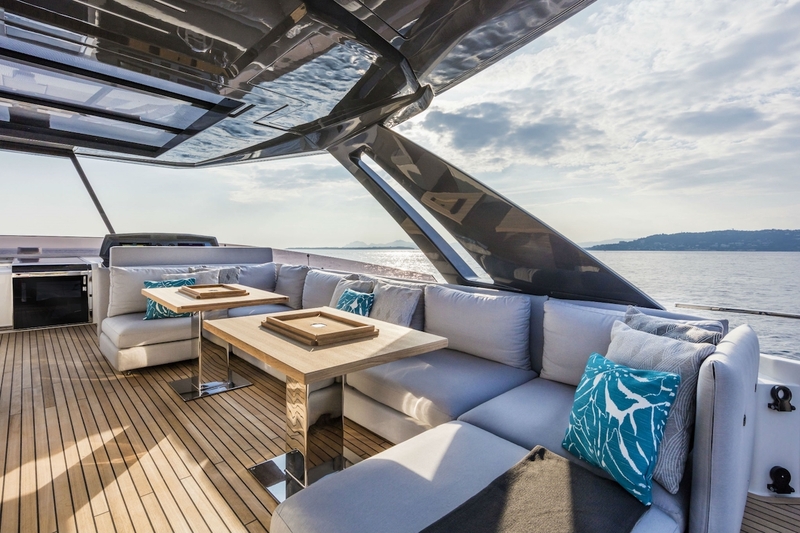 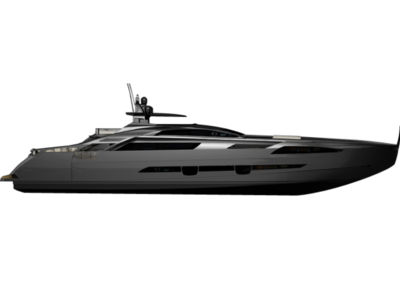 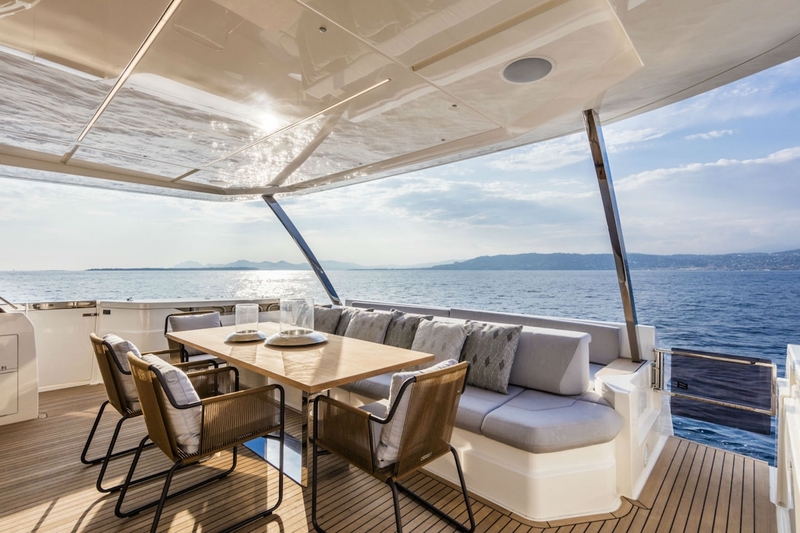 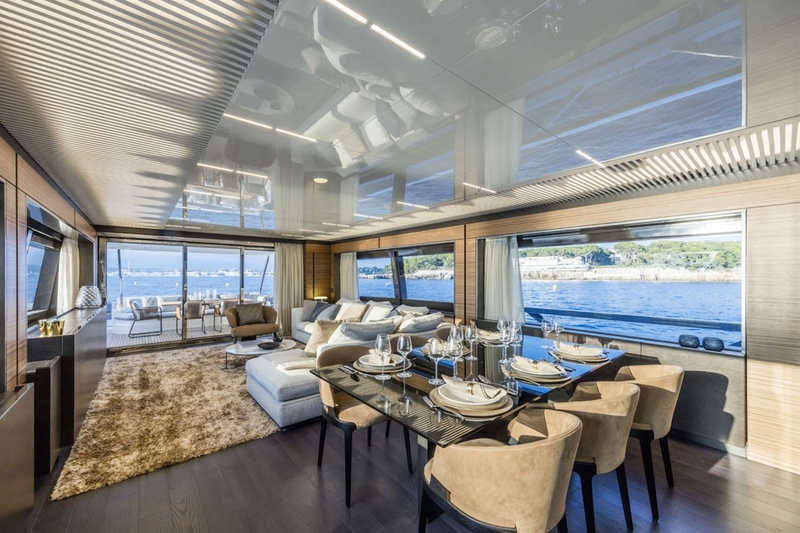 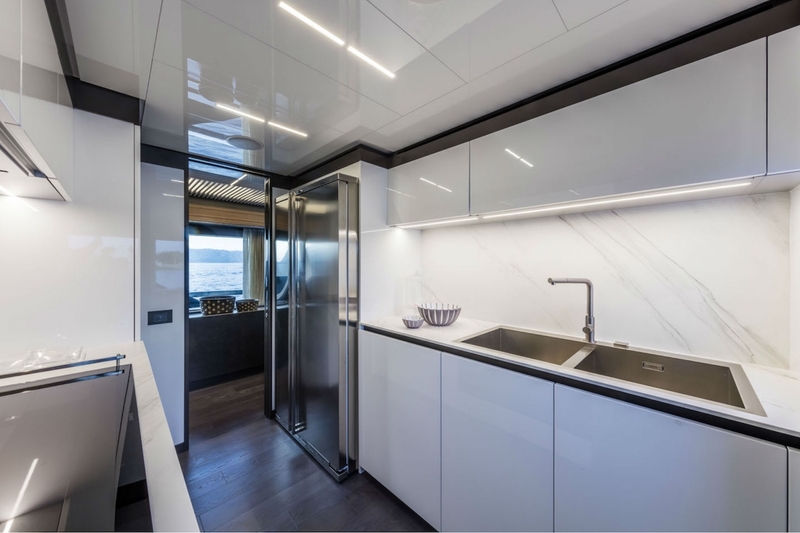 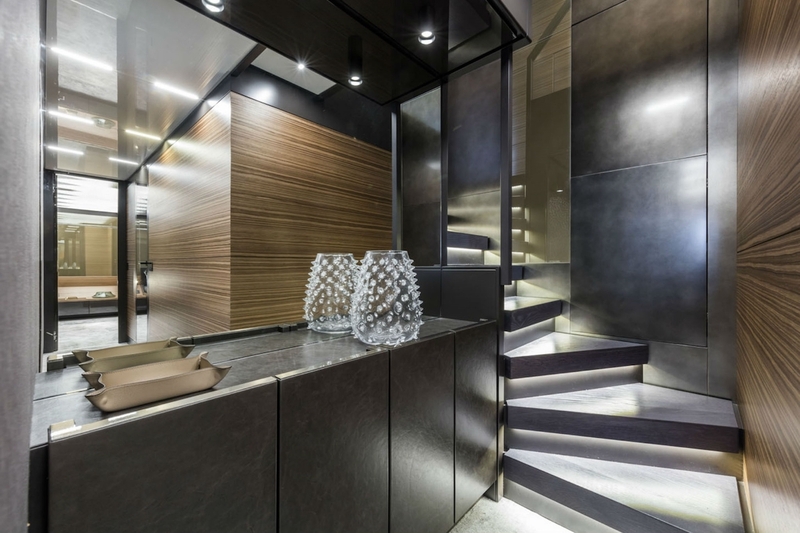 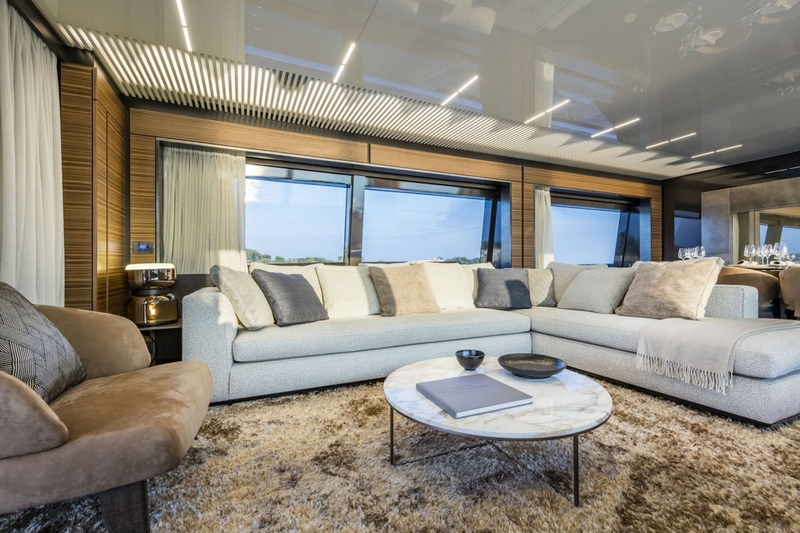 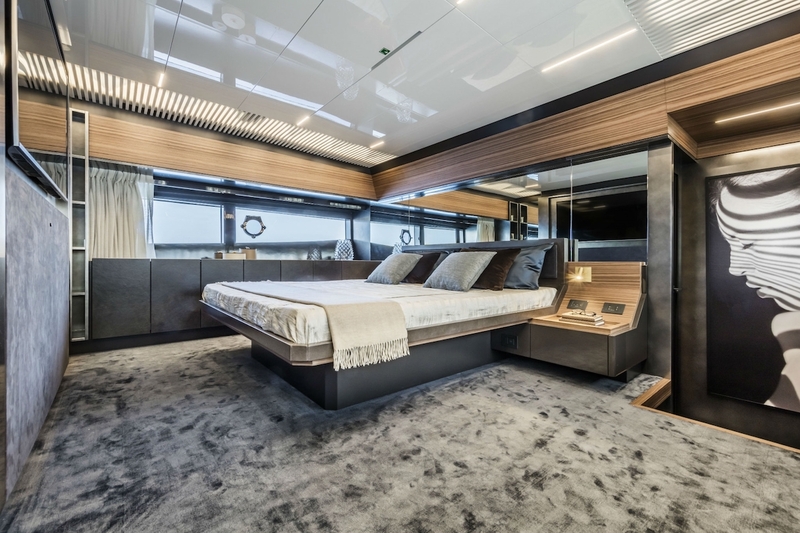 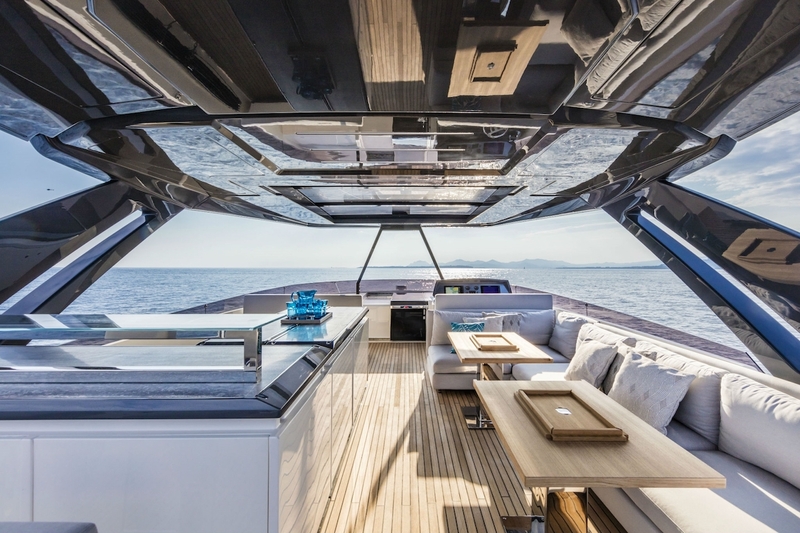 The yacht’s “bold” character is emphasized by the gunwale, which continues beyond the bulwark walkways and “cuts” into the design of the windows in the master cabin. 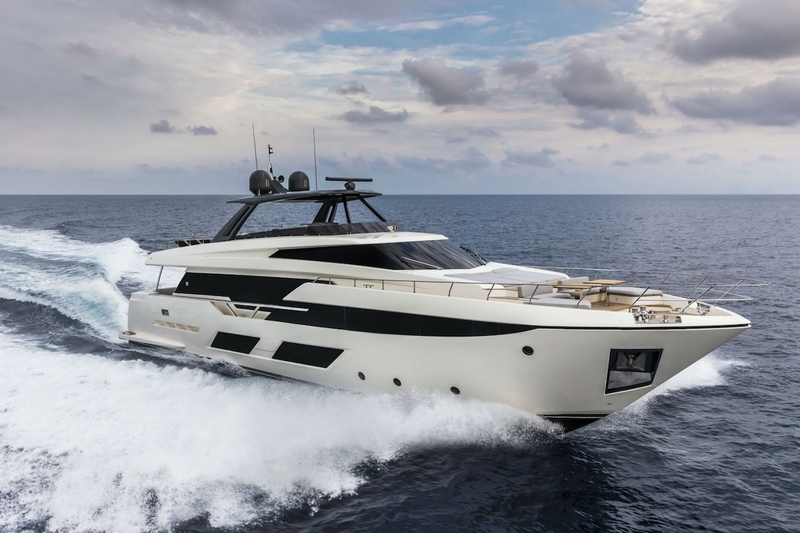 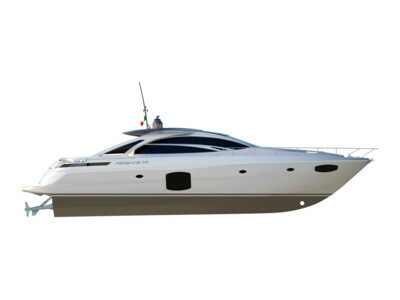 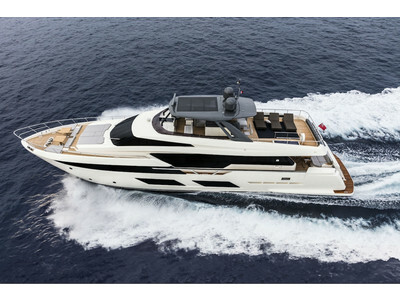 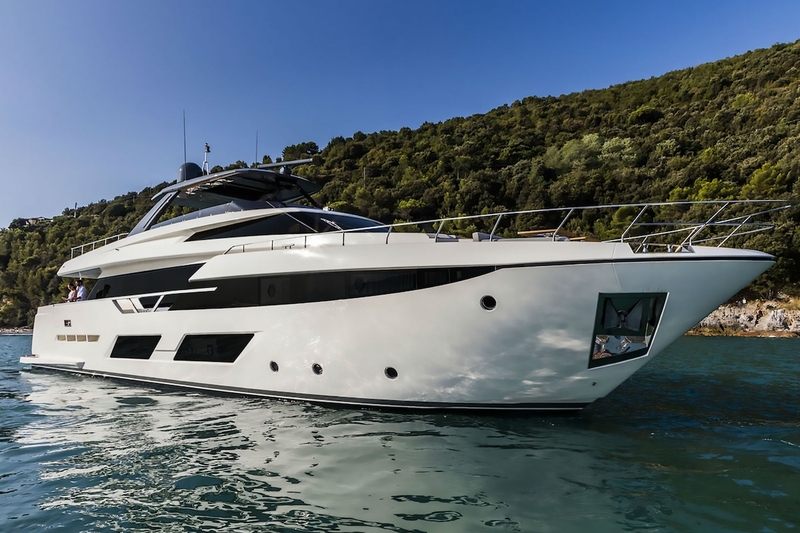 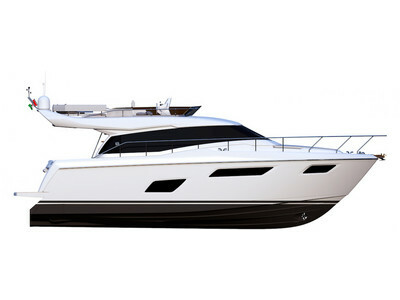 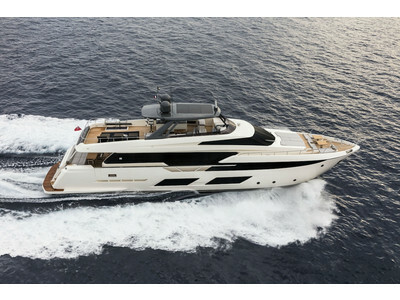 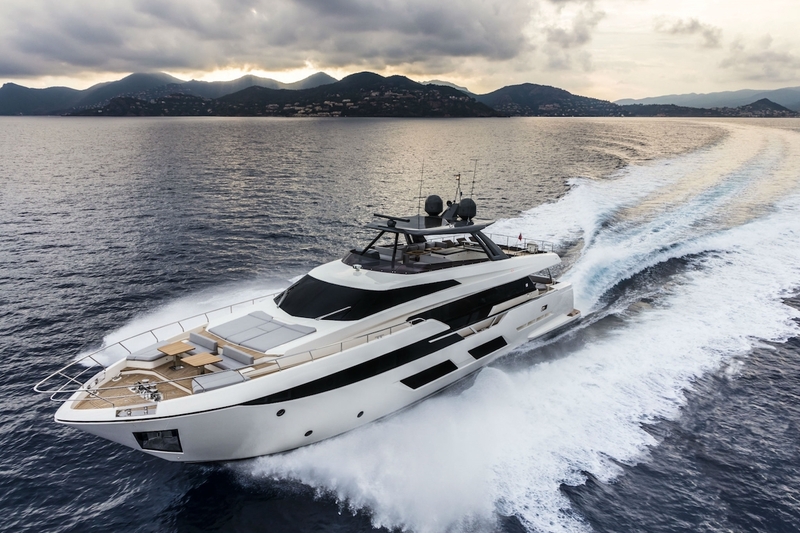 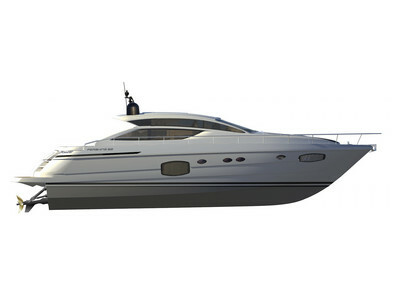 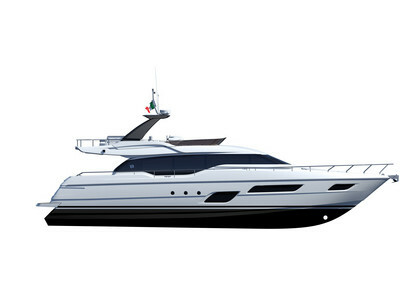 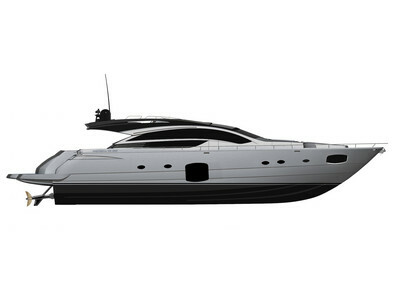 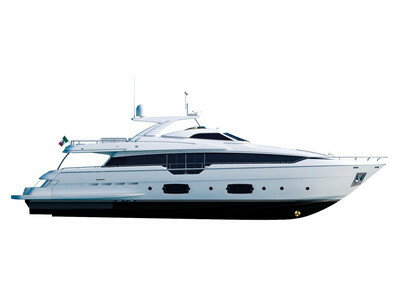 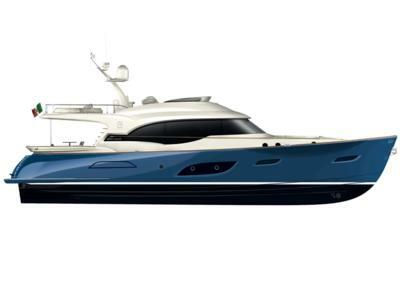 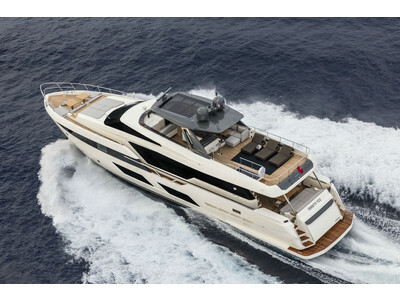 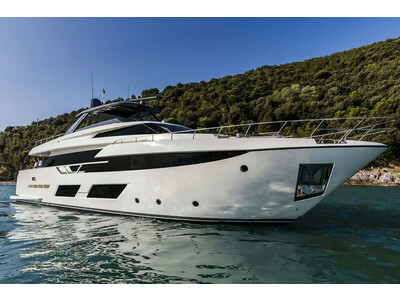 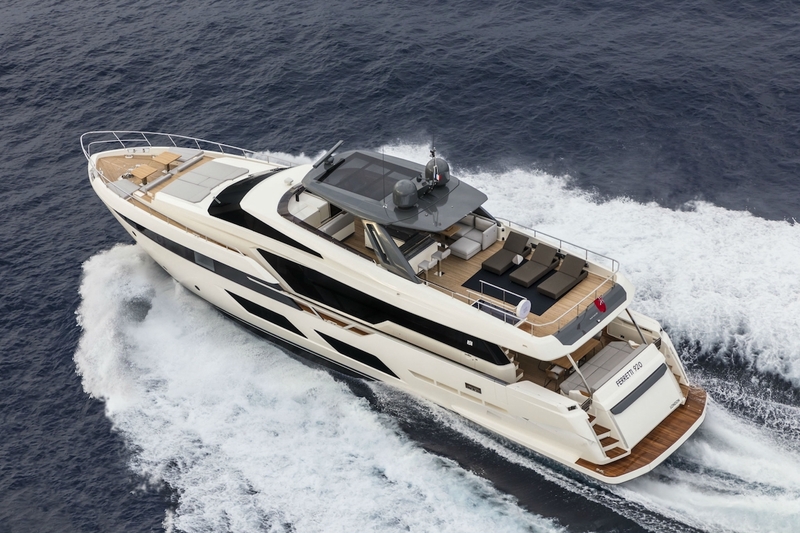 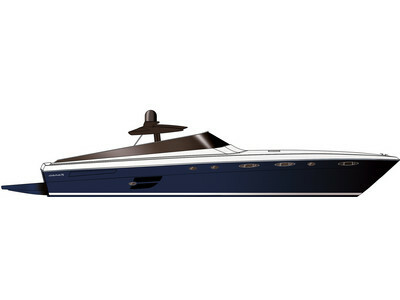 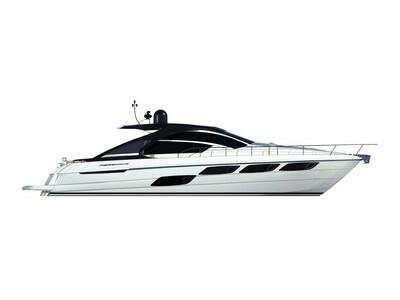 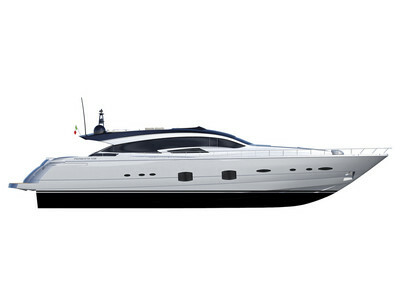 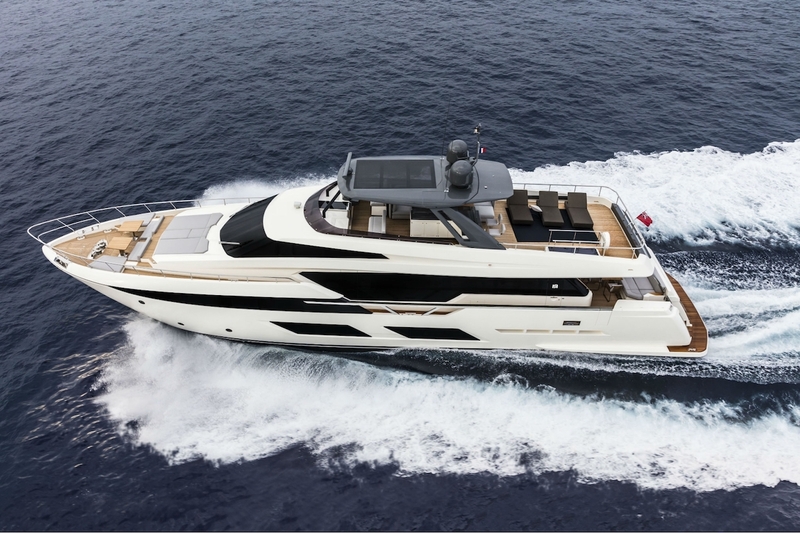 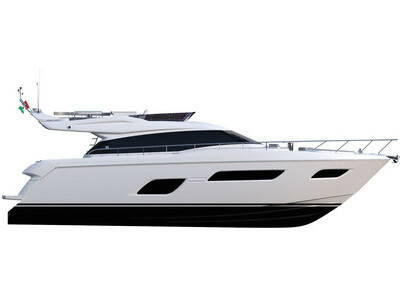 The majestic Ferretti Yachts 920 (28.49 metres LOA) instantly catches the eye. 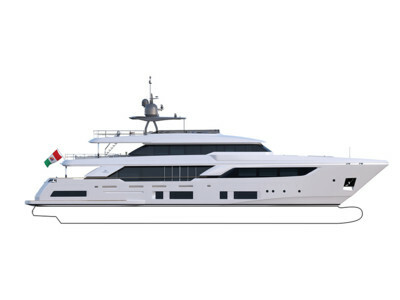 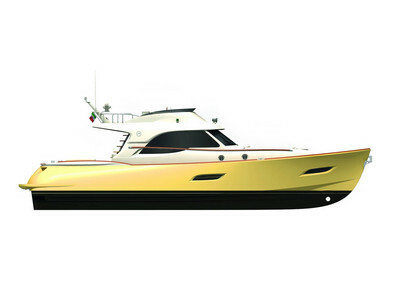 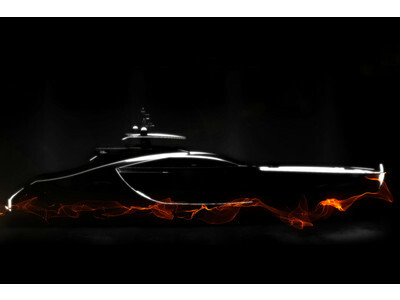 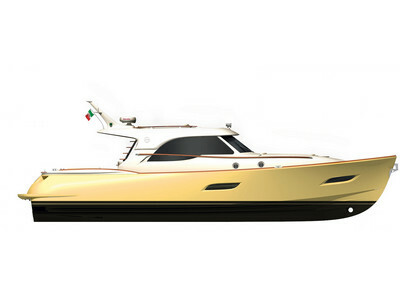 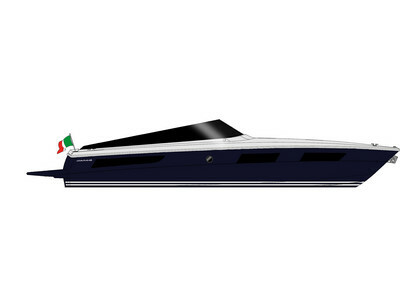 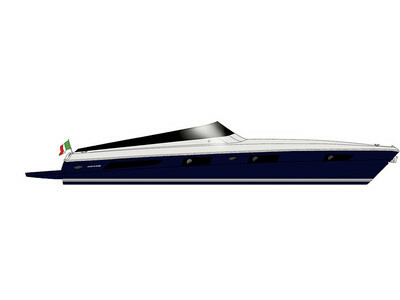 Meanwhile, the hull is 23.98 metres long, so it can be registered as a recreational craft. 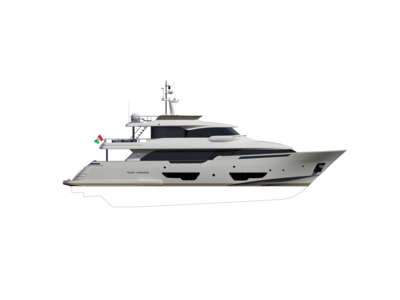 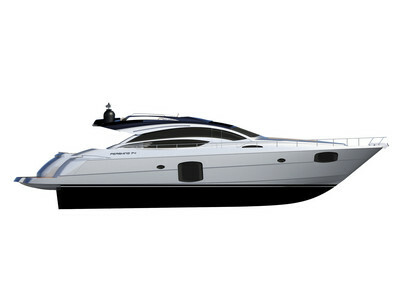 Its dynamic, irrepressible profile develops the stylistic design features that have led to the international success of recently launched models and have completely modernised the fleet. 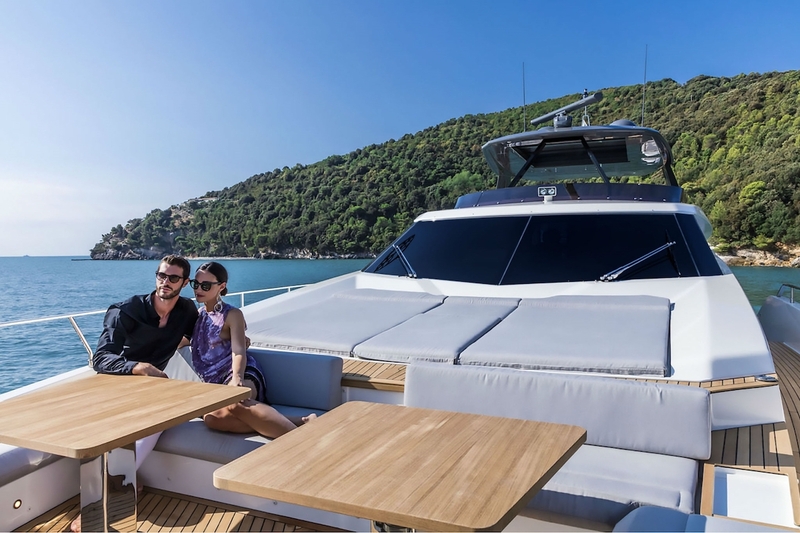 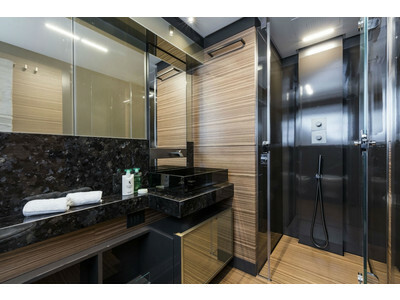 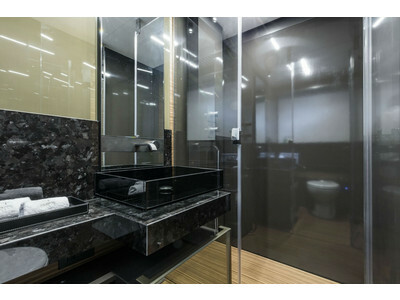 In addition to the raised forward section, other stunning aspects include the remarkable number of relaxation spaces and the luxurious furnishings in the outdoor areas. 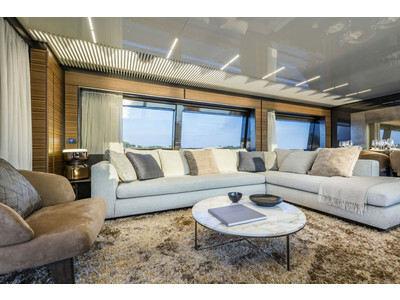 The magnificent interiors rival the versions found in higher category models. 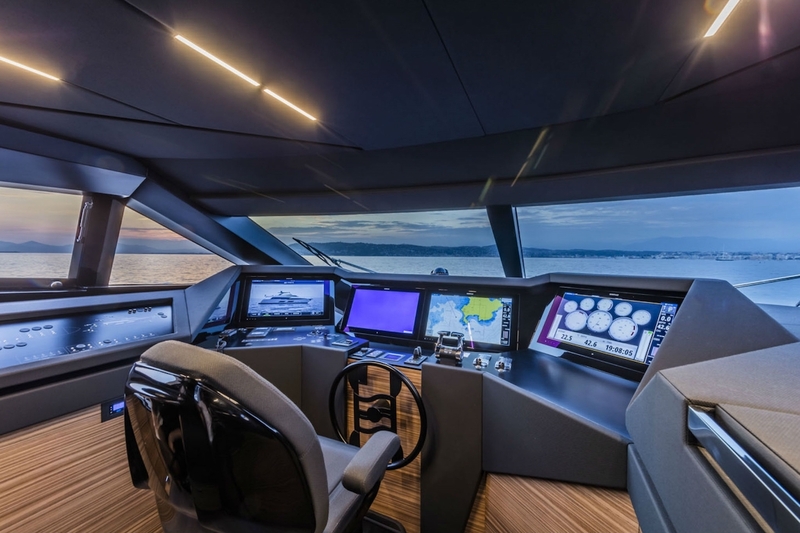 The pilot house is a technical area with a “futuristic” design. 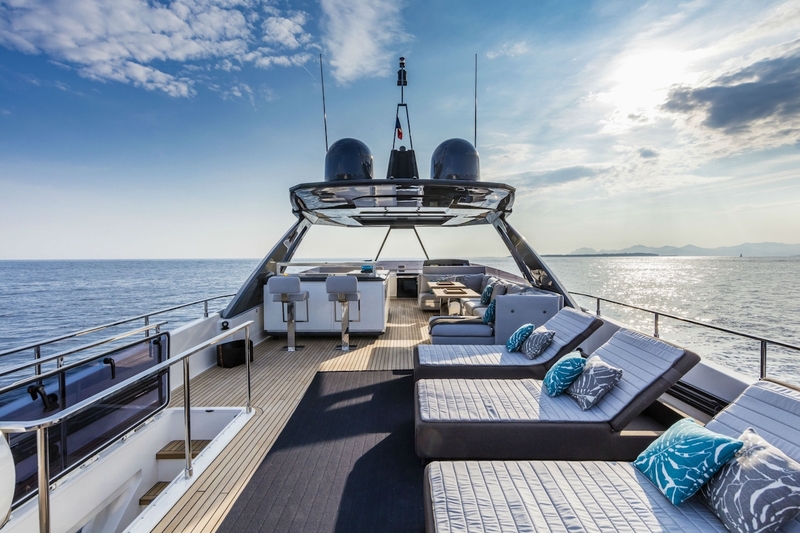 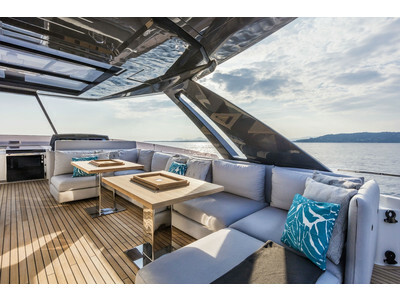 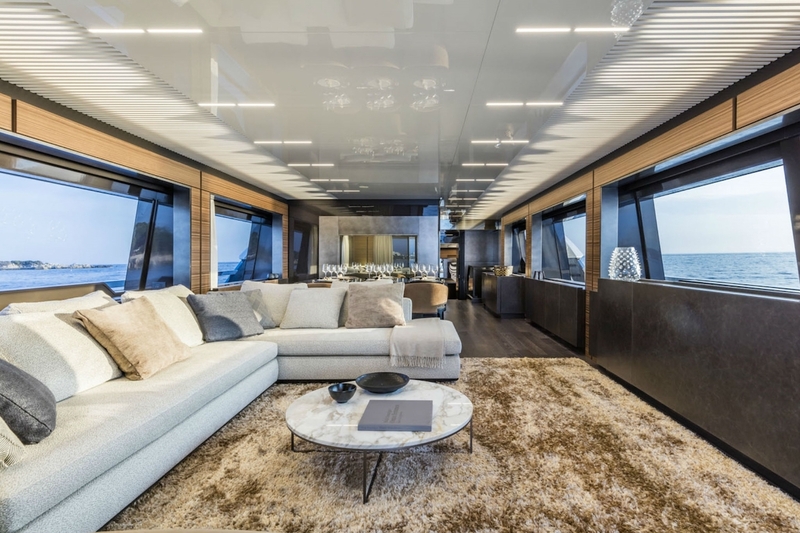 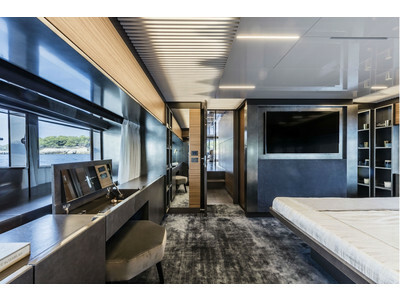 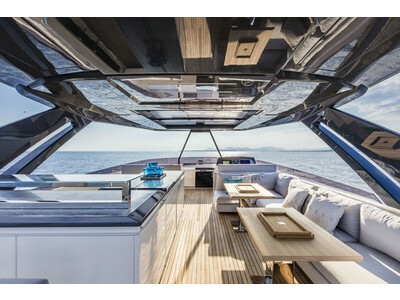 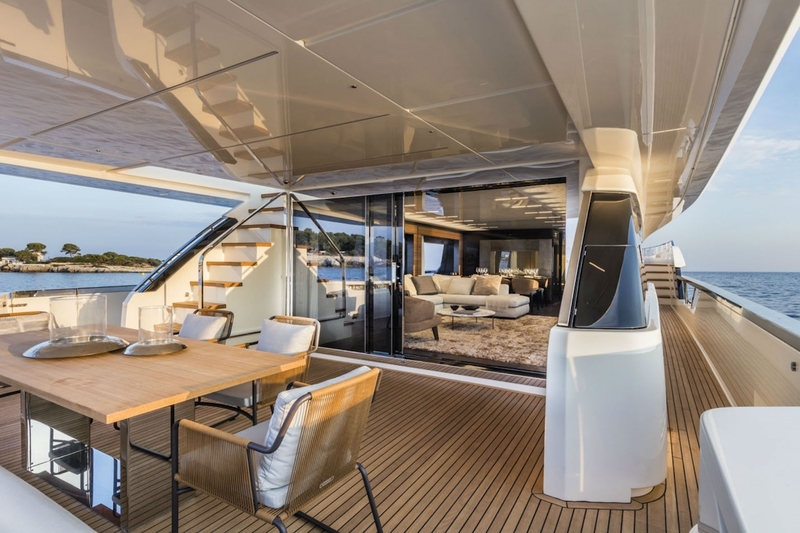 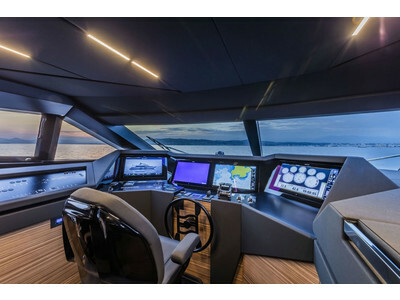 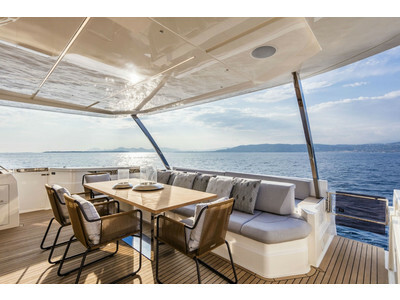 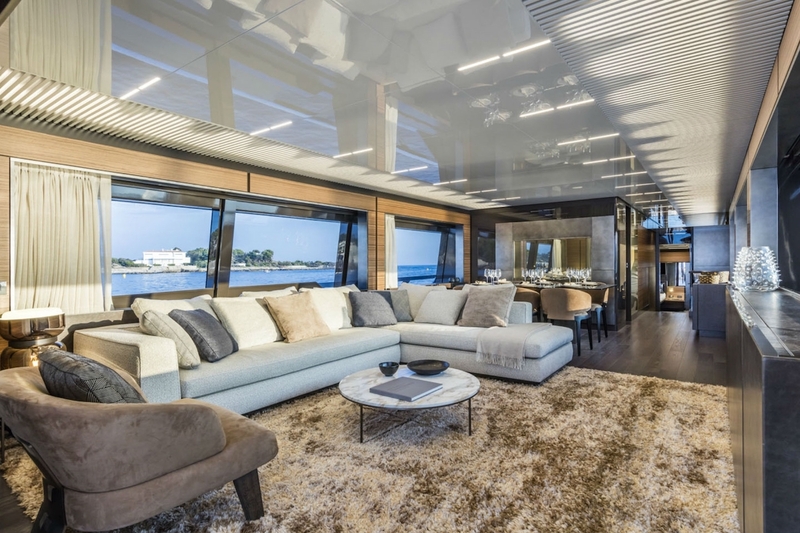 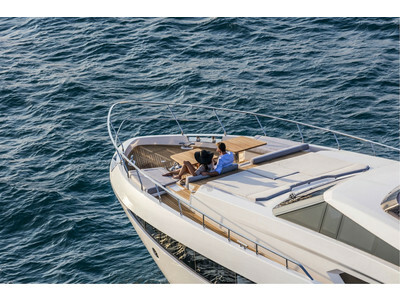 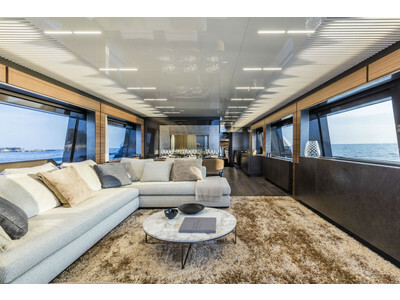 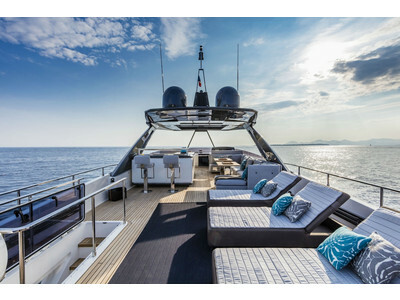 The captain can run the entire yacht from here thanks to a large control station, equipped with a next-gen steering system and a number of touchscreen displays that encompass all of the on-board monitoring systems and navigation instruments.